I bought this copy months and months ago, but like most of the books I buy they go to the bottom of the TBR pile. I was curious about the book. I had seen it all over the place. I liked the idea of a handicapped protagonist. Characters with impairments fascinate me. However, I wasn't sure about the paranormal aspect. It is a hit and miss genre for me, with mostly misses. 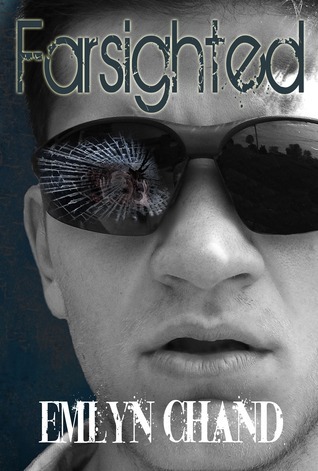 Unfortunately, Farsighted is a miss for me. I had trouble getting into the story. The writing style was too choppy and simplistic. I know it was written for high school students, but it had the feel of a high school writer. I've kept some of my favorite writings from high school and I've re-read them and, well, Farsighted's writing felt that same way to me. Either I became accustomed to the writing style or it improved towards the end (I'm leaning towards there was improvement) as the last half of the book read faster than the first. I also had trouble with all the visual cues we would be given though the story was being told in first person. Sometimes there was too much visual description in a scene for me too really believe Alex is blind. I must point out that I read the first edition (the links are all for the second edition). There has been a second edition published. It is listed as expanded. I hope there is more polish to the writing. Emlyn did contact me about sending me a second edition. I thought about getting it just so I can skim through it for changes, but Farsighted isn't really my kind of story. It was too heavily paranormal for me. Your turn: I'm trying to decide if I should attempt more paranormal stories to see if the genre grows on me or just give up. What do you think? Are there genres that you've tried and tried, yet can't seem to find more you like than don't like? I was never a fan of Paranormal fiction but a good friend of mine recommended the Fever series by Karen Marie Moning and some Ilona Andrews books and now I'm hooked on these writers! Thanks for this post, which drew me in because of the title -- I read the book Farsighted a while ago, and LOVED it! I think these labels are dangerous, like "paranormal". 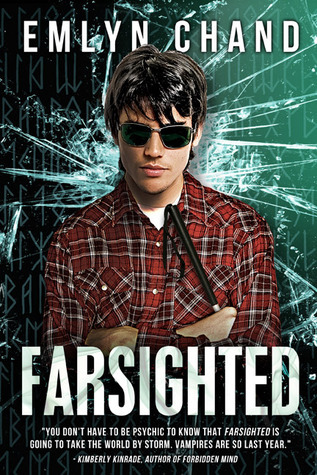 The characters in Farsighted were totally real for me, and acted like normal teenagers, and heck, lots of teenagers get the idea that they have extrasensory powers, don't they? I certainly did when I was that age. My own teenagers aren't confiding stuff like that to me. Anyway, I thought this was a really good and also a moving book, and I thought I saw something about a sequel coming sometime soon. I'll be picking it up.